This form is reserved for requesting a quote only. It is a service with a fee. What is the difference between requesting a quote and making an appointment ? Statistics, gathered from thousands of e-mails show that requests for quotes have a bad reputation for unreliable and not always very honest intentions. Like sitting in another shop just around the corner with a mobile phone. If you are not of that kind of person then simply make an appointment to enjoy the very best service, quality and value for money as proven by thousands of very, very happy customers. We can provide quotes too but you will pay a fee of 50 Euro valid for 3 quotes. Requesting a quote for: D to G and VVS1 to Si1 and two different certificates and Very Good to 3x Excellent will result in 160 different quotes !!! 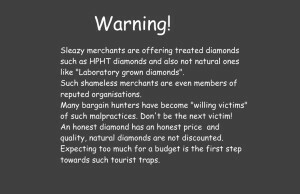 A diamond isn’t a consumer product. All diamonds are unique individual gems. Quotes don’t show diamonds, quotes are misleading when the diamonds can’t be compared side by side. 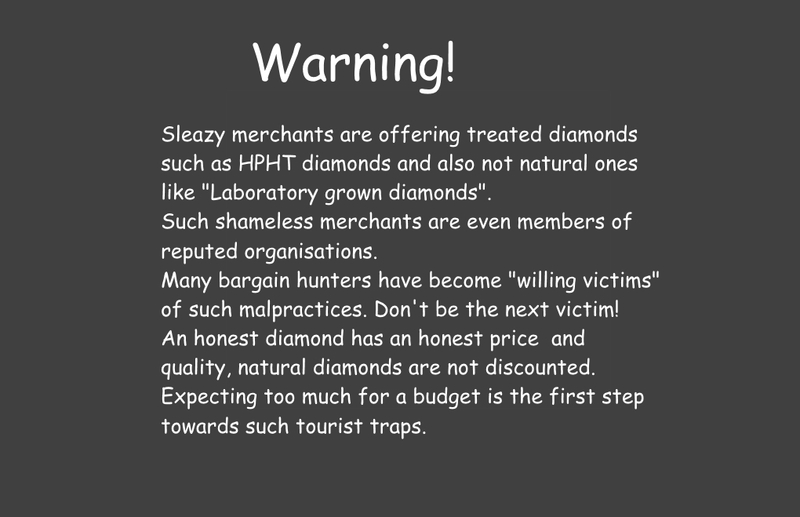 The fee of 50 Euro will be refunded 55 Euro when you place the order for a diamond. If you send this form a credit card payment form will be forwarded. couldn’t find it ? Well maybe such miracles don’t exist or they’re too good to be true ?